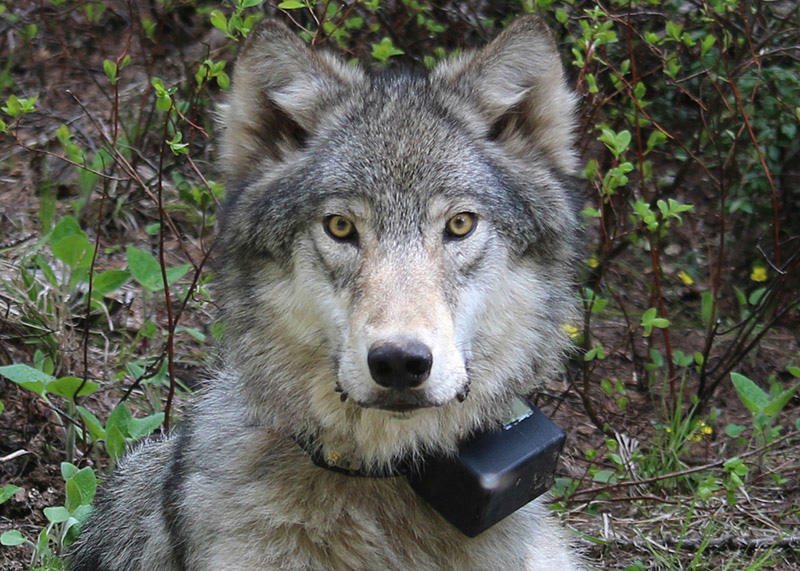 A female wolf from the Minam pack outside La Grande, Oregon. The Capitol Press reports this new five-year management plan has been criticized by ranchers and environmentalists. Ranchers say the new plan would make it harder to protect their cattle, because the state wants to increase the number of allowable attacks on livestock before exterminating the wolves. 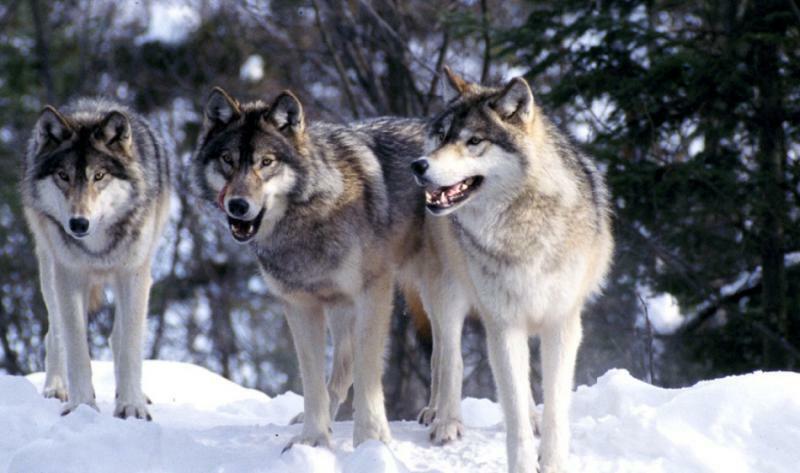 Environmentalists take issue with the proposed wolf population cap in the plan. They also don’t want officials to kill wolves if deer and elk numbers drop, as outlined in the plan. While the draft plan is debated Friday, ranchers in 10 Oregon counties will split up more than $180,000 in grant money to compensate them for livestock killed by wolves. The cash will also pay for non-lethal deterrents to keep wolves away from farm animals. Oregon Fish and Wildlife has no set date to adopt a new plan. In a story Feb. 23 about a lawsuit involving a wolf- and coyote-shooting contest in Idaho, The Associated Press reported erroneously the disposition of the suit. The judge dismissed part of the lawsuit, not the entire lawsuit, and a decision on an action the groups have against the U.S. Forest Service involving Idaho for Wildlife's predator contest is pending.